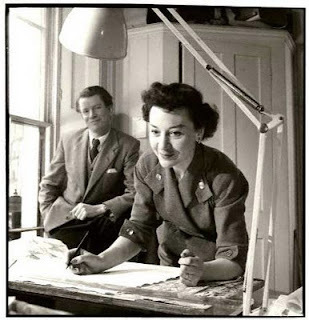 Design Onscreen, the architecture and design programme makers will be premiering their latest documentary on British design duo Robin and Lucienne Day at the National Geographic Museum’s Grosvenor Auditorium in Washington, DC on May 15th. 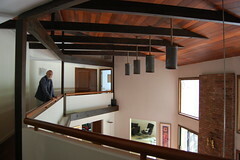 Director Murray Grigor and Cinematographer Hamid Shams will take part in a Q&A session after the screening. Lucienne, who died earlier this year, designed textiles, wall papers and ceramics that embody the optimism and vitality of the mid-century era. 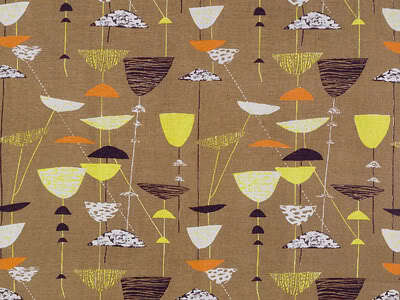 Calyx, the fabric that launched Lucienne Day's career, was exhibited at the Festival of Britain in 1951 where it won the International Design Award of the American Institute of Decorators. While Lucienne designed fabrics, Robin's mass-market furniture can be found in homes and offices across Britain. 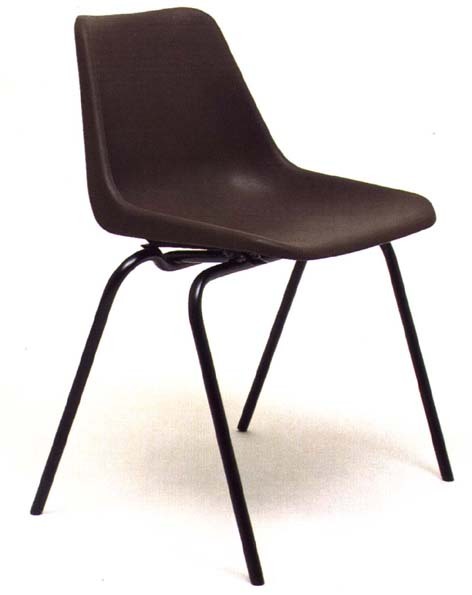 Millions of examples of the Eames-influenced stackable Polyprop Chair have been sold since its inception in the early sixties. I sat on bright orange ones at school, magenta in Village Halls and grey in waiting rooms all over the UK. 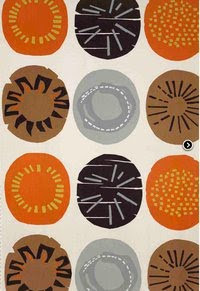 The showing is scheduled to coincide with the opening of Art by the Yard: Women Design Mid-century Britain, featuring Lucienne Day’s work, at Washington DC’s Textile Museum. Tickets to the movie premiere on May 15th must be purchased in advance from Design Onscreen. I love those prints-- the top one esp. Thanks for the post. you can still buy the fabric - in added colours too!